Dental Implants to ‘Grow’ New Teeth! Dental implants are the preferred way to replace missing teeth. 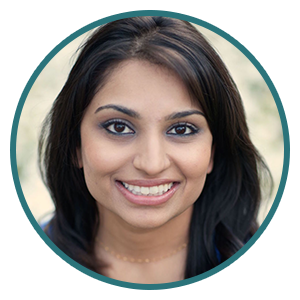 From the front of your smile, where they are completely visible, to the back, where they provide the stability to chew, implants can help you regain a beautiful and functional smile. Unlike bridges or dentures, which rest on top of your gums, dental implants are placed under the gum line. The “tooth” placed on an implant looks very realistic because it actually comes through the gums similarly to how the original tooth did – it’s kind of like growing a new tooth! 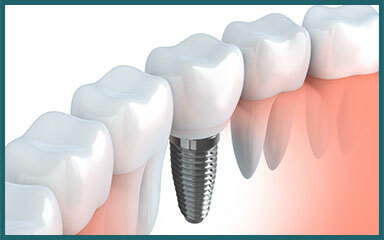 Implants are utilized for the replacement of any number of missing teeth. Even people without teeth can benefit from implants, as their dentures can be replaced with teeth that are stable when talking and don’t need to be removed before you go to bed. Because our team at Mosaic Dental is able to handle everything from implant placement to building your crown, you won’t need a referral to another dental office! Those wearing dentures will tell you that probably the worst part is having their teeth move around when eating. Denture adhesive is applied in an attempt to keep their teeth in place, but dentures can still become loose and move around while eating or speaking. However, at Mosaic Dental in Sterling, we offer our denture patients the option of overdentures. Using a few dental implants to support dentures, your teeth will be secured so that they won’t move around, but they can easily be removed for cleaning. Gone are the days of using messy creams to adhere your dentures to your gums. Contact Mosaic Dental to find out if you are a candidate for overdentures. Have you been told you couldn’t get implants due to insufficient bone density? At Mosaic Dental, we have a great opportunity with a relatively recent breakthrough called mini implants. Mini implants can replace one missing tooth or secure your dentures in place, eliminating slipping and trapped food. They can be placed in one easy visit and are virtually painless. In fact, you can start eating again the same day you receive them! One bonus is that they can often be used in situations in which standard implants are not a good fit, allowing you to experience the benefits of mini implants even if you are not a candidate for regular implants. Don’t live with missing teeth any longer! Call 703-721-7509 for a no-obligation implant consultation at Mosaic Dental in Sterling today to determine your suitability for dental implants.